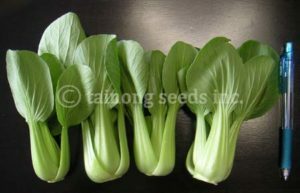 Bok Choy Shanghai Green Stem / Ching Chang 青江白菜 | Tainong Seeds Inc. 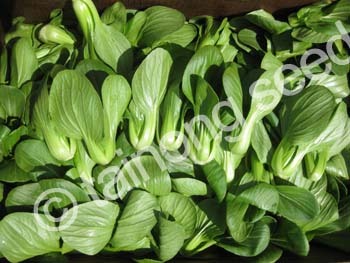 Harvested baby bok choy ready for market. 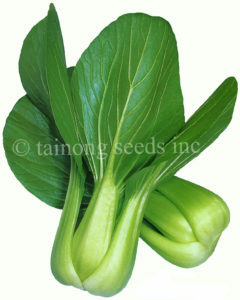 Baby Bok Choy has several names including Shanghai Bok Choy, Ching Chang Bai Chai. Most popular variety, widely adapted. Vigorous grower with very strong heat tolerance. Dark green leaves with thick, glossy green, hourglass body. Very uniform & high yielding. Dark green leaves with thick, glossy green, body. 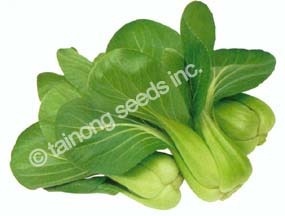 Vigorous grower, easy to grow. Exciting new F1 Hybrid Shanghai Pac Choi; cut early for miao use. Short, compact hourglass body, dwarf size even at full maturity. 4~5 inches tall ~45 days. Strong in heat & cold. Vigorous grower with strong heat tolerance. 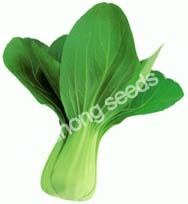 Squat hour glass shape, thick petioles with dark green leaves. Exciting new F1 Hybrid Shanghai Miao in testing stage. 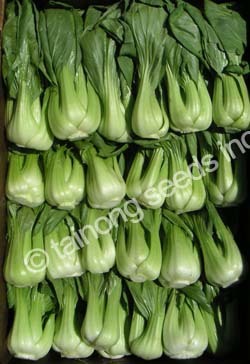 Tall type, 6~7 inches tall, long petioles with tight, bulb shape base. 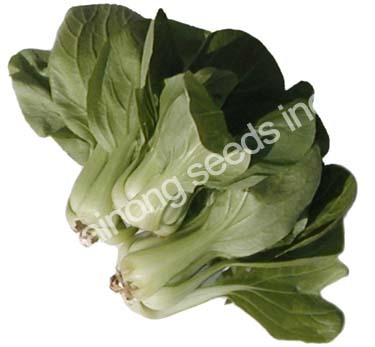 Best suited to cool areas with strong cold tolerance. Big size with dark glossy green with heavy bulb base. Vigorous grower & high yielding. More uniform and higher yielding than Ching Chang No. 5001. Special Green Petiole is tolerant to high heat. Medium dark green leaves and big, bright green body. Matures in approx. 40~45 days. High yielding and productive O.P. variety. Medium dark green leaves and bright glossy green hourglass body. Matures in approx. ~40 days. 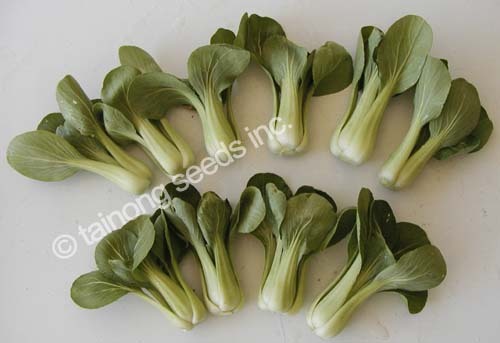 Vigorous grower with good heat and cold tolerance. 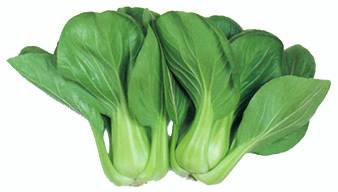 Extra early maturity, 35~40 days with good bolt resistance. 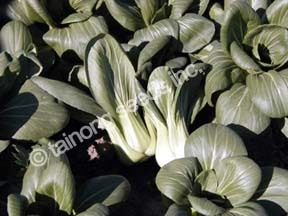 Medium dark green leaves with green, compact hourglass petioles. Highly productive and easy to grow.